Novak Djokovic Foundation will help and support construction of the eighth School of Life within the preschool institution “Suncokreti” in Jalovnik village, in the Municipality of Vladimirci. Around 60 boys and girls from this village and nearby places will finally be able to play, learn and develop their potentials in new and modern kindergarten. On that occasion Novak Djokovic Foundation and the Municipality of Vladimirci signed yesterday the agreement related to the implementation of Schools of Life project. The total value of the project is RSD 7,500,000.00. The project includes construction of facility and equipping of classrooms. New School of Life will be located next to “Zika Popovic” primary school. Thus, upon finishing kindergarten, children can continue their education in a familiar surrounding. Parents as well as teachers from preschool institution “Suncokreti” are more than delighted that the eighth School of Life will be opened soon for over 47 children aged 3 to 5.5 in Jalovnik. In addition, twelve more preschoolers will have brand new space for playing. Construction works will start immediately while the grand opening of the facility is planned to take place in four months’ time – said Maja Jovanovic, NDF project manager. Beside construction of kindergarten and complete classroom equipping, within “Schools of Life – Together for Childhood” project funds are also provided for seminars for local government representatives and teachers, stressing the importance of preschool education and methodology to develop specialized programs for preschool-age children. Schools of Life project is very important for the Municipality of Vladimirci and contributes to the expansion of network of preschool institutions in Serbia. Modern kindergarten will be constructed in this rural area providing equal opportunities for children to play, socialize, learn and discover new things as well as their peers in urban areas. Now families won’t have to move to bigger towns and cities in lack of kindergartens and schools and rural areas in Serbia will be preserved with better prospects for progress. On behalf of the Municipality of Vladimirci I would like to express my gratitude to Novak Djokovic Foundation for investing great efforts to enable children from disadvantaged areas obtain high-quality education – said Milorad Milinkovic, mayor of the Municipality of Vladimirci. 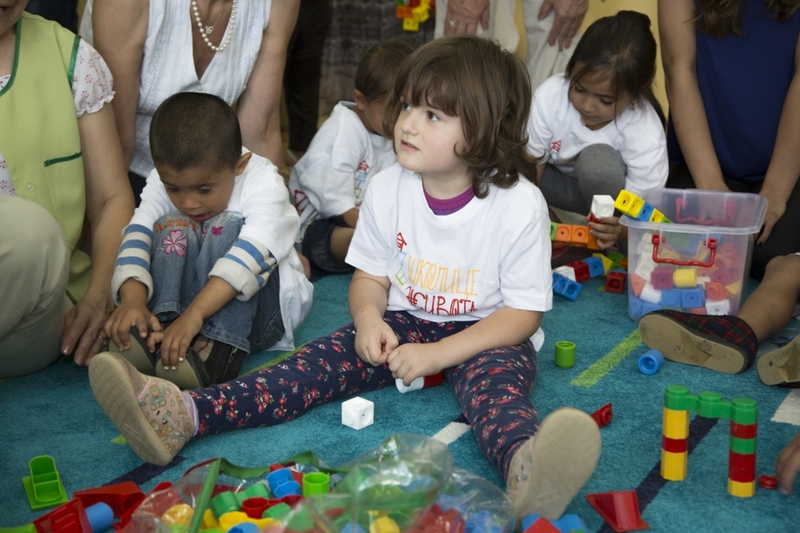 Children in Jalovnik and nearby places will have better conditions for early childhood development. Thanks to this partnership teachers from preschool institution “Suncokreti” will enhance the quality of their day-to-day work with the youngest and ensure these wonderful kids have happy and normal childhood while mastering various skills and gaining valuable experiences during their early years. This project plays a crucial role in improving preschool education services and making knowledge equally available to all children in Vladimirci – said Zorica Milosevic, director of preschool institution “Suncokreti”. The Schools of Life project has been implemented in cooperation with CIP – Center for Interactive Pedagogy. The project has been developed with the aim to encourage children to dream but also to inspire adults to do everything they can and help kids fulfill all their dreams. So far 7 Schools of Life have been opened throughout Serbia – in Ljig, Raska, Knic, Kraljevo, Merosina, Vladicin Han and Lucani.